Shirahatti has managed to vote for the winning party in seven assembly and five Lok Sabha elections. 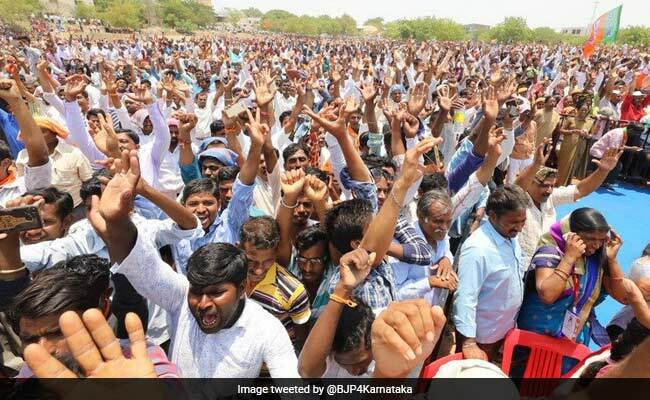 The party that wins Shirahatti wins Karnataka, say people. The BJP's Ramappa Sobeppa Lamani has won in Shirahatti, which is perhaps the most watched seat in Karnataka. The Congress candidate, Doddamani Ramakrishna Shidlingappa, is at the second spot. Shirahatti is named after a panchayat town in central Karnataka's Gadag district of North-West Karnataka. It has managed to vote for the winning party in seven assembly and five Lok Sabha elections. This time, the verdict is still out if Shirahatti got it right because there is no clarity if the BJP, that emerged as the single largest party, will manage to form the government. It has staked claim before the governor with its 104 legislators. There is, however, a counter claim from the Congress-JDS combine and the governor is yet to take a decision. In the 2013 assembly elections in Karnataka, the Congress had won by a slim margin of around 300 votes. Among other such bellwether seats are Yelburga, Tarikere and Harapanahalli, where the BJP is ahead. The BJP has won 104 seats while Congress netted 78 seats and has extended support to the 37-member JDS to form the government. A party needs 112 to win in Karnataka, where 222 seats voted on Saturday.